Listening Ear Trainer helps you to improve your listening skills. The goal is to acquire Absolute Pitch. But wait, it isn't easy! However, in our Singing Funnel Method, you get feedback how near you are to that goal. That is our software tells you to which precision you can remember sounds. To evaluate your sound-memory, you have to hum or sing the notes. Since Singing is an active exercise you get a handle that you can control and train. In the beginning your brain may remember only vaguely how to place your vocal cord-muscles to match a particular pitch. So in the beginning you may be more than two whole tones off and we still will give you credit for that. However, with each exercise we add additional notes and we also narrow the acceptable tolerance. Since we track your progress you can see, how far away you are from remembering a pitch to a precision of 50 cents. 50 cents is the precision required to which you must be able to differentiate pitches to assign a pitch to the correct note name. That is you learn to better differentiate sounds by their pitches. And thus you learn to recognize musical notes by name. Now we do not promise you that you will reach Absolute Pitch. You may give up at a certain point, since it needs too much discipline and time We understand that time is the most precious thing we have. And Absolute Pitch is not really necessary to be a good musician: Relative Pitch is far more useful to understand music. So, the first 24 lessons that guide you to a precision of 75 cents are free. In this way you see, how the Singing Funnel method works, and if you are willing to invest some more time to reach the necessary level of 50 cents. Many of you will give up. However, we have a plea, even if you give up very early (minimum of five training days), please export the time-line statistics and send them to us. This helps us to make a statistic, which supports the idea that Absolute Pitch in most cases is not desirable for the necessary effort needed to gain it. Compare this to learning a foreign language: it takes many years to master a foreign language. But many of you do it anyway. However, to reach Absolute Pitch many will give up after a few weeks: the motivation and necessity to acquire Absolute Pitch is not given. Thank you for supporting us. We keep your personal information confidential and will only use the data for statistical purposes. An exercise to recognize triads. Listening-ear-trainer's introductory lesson will show you what absolute pitch is: The ability to differentiate frequencies. It will also demonstrate you that you are capable of hearing absolute pitches. 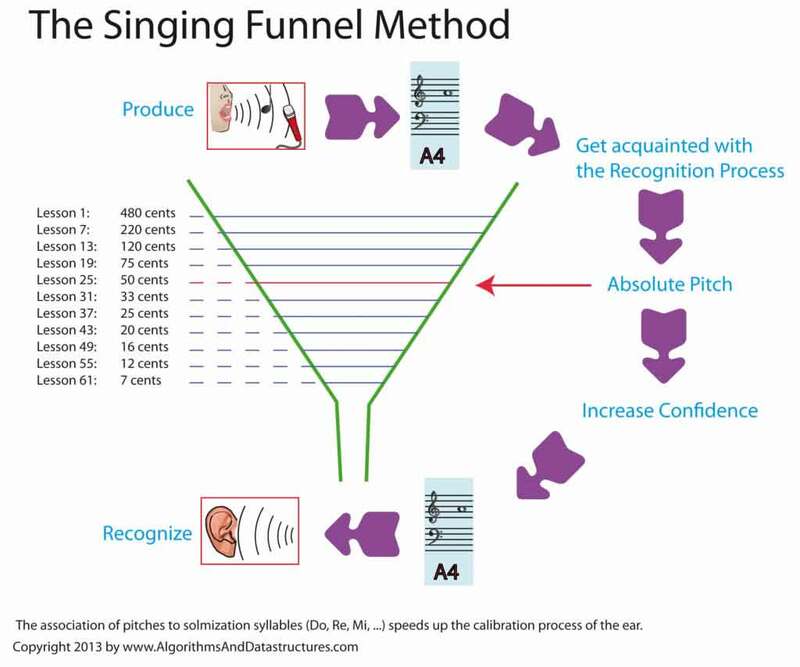 "The Singing Funnel Method" and "The Octave Anchor Pitches Method". This lesson introduces you to "What intervals are" and "How to name intervals". "The Interval Overtone Method" and gives you tips "How to remember Intervals". Top down approach: Rewarding you in the beginning by allowing a large tolerance, and then refines your pitch precision. 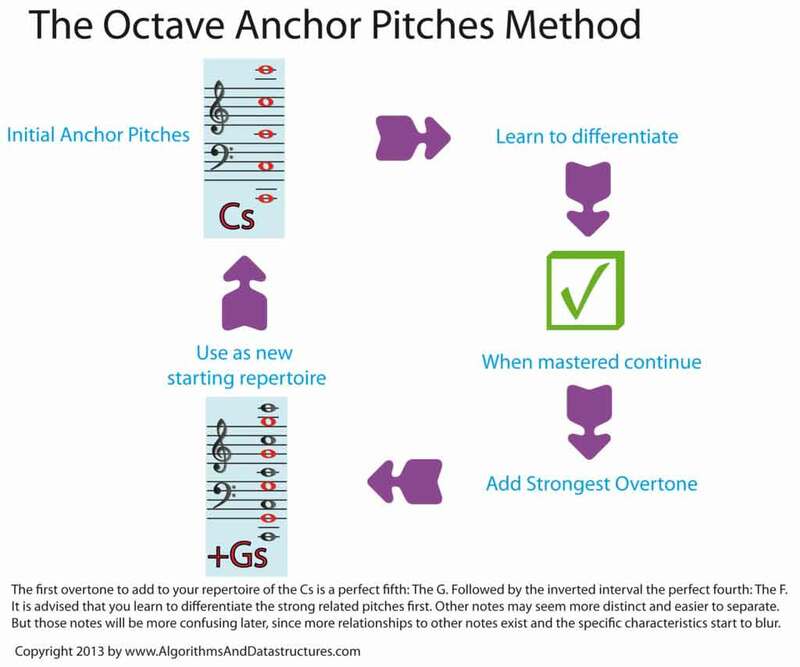 Anchor Pitches approach: Starts with only 5 notes an octave apart, so you can easily figure out to which anchor the note belongs. 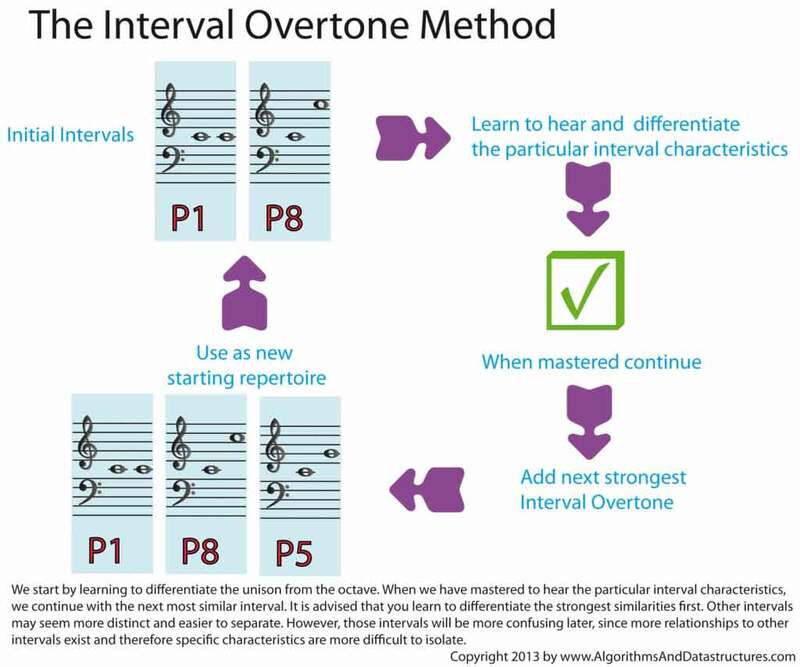 Absolute Interval Characteristics: Learn to recognize intervals by approaching them with the overtone series. Learning Box approach: Move the notes by singing them within the tolerance to the left bin. Learning Box approach: Recognize the note by listening and push the note a level higher. Learning Box approach: Recognize the interval and push the interval a level higher.
" How to use The Singing Funnel Method" and "The Octave Anchor Pitches Method". 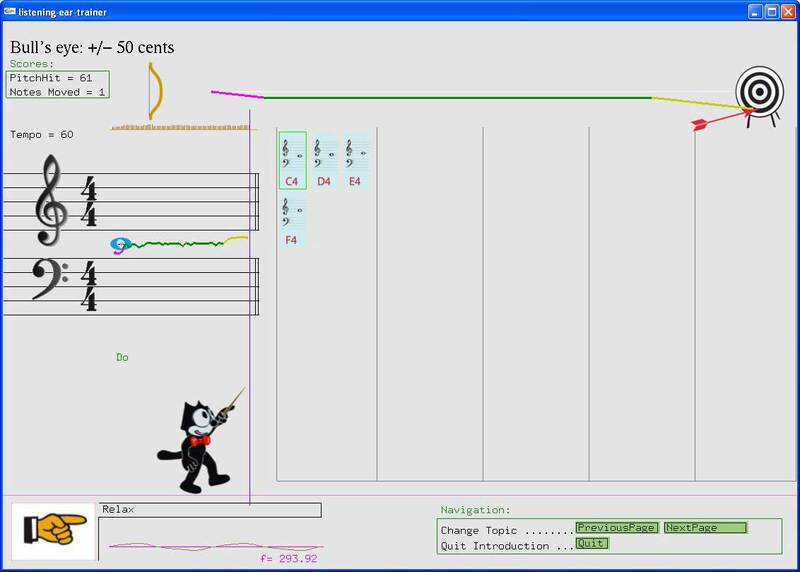 This video illustrates the use of our method "The Interval Overtone Method". "How to use The Interval Overtone Method". I was a Dreamer in School How I Discovered Muscle Memory. Are you an aspiring musician? Do you want to perfect your listening skills and to achieve that ‘absolute pitch’? Don’t worry, we have the best ear training software in the world and we can guarantee you that our ear training software will help you improve your listening skills, help you close the gap and hit those notes accurately. Our online ear training program has been designed to help both amateurs and as well as professionals alike. Your search for the best ear training program has at last ended here. 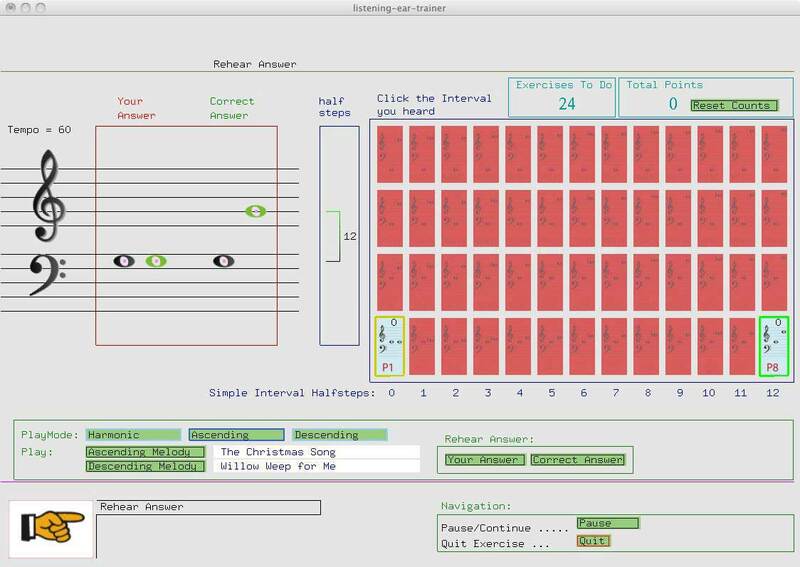 Learn to pick those challenging notes flawlessly using our ear training software. You will never again have to waste your time search for a better tool for ear training online. Our advanced ear training software will help you track your progress. This robust software will provide you with all the tools necessary to perfect your listening skills and help you reproduce them effectively. Within a short time, you can become that confident musician that you have always wanted to be. Regardless of the genre of music that you are mastering, ear training is an integral component without which you will not be able to take your music skills to the next level and that is why we have for you the most resourceful ear training software that is available online. Hiring a music tutor for your ear training needs could prove to be highly expensive and it will also have other practical difficulties such as making yourself available when your tutor is available. You can do away with all these challenges easily by choosing our ear training software. 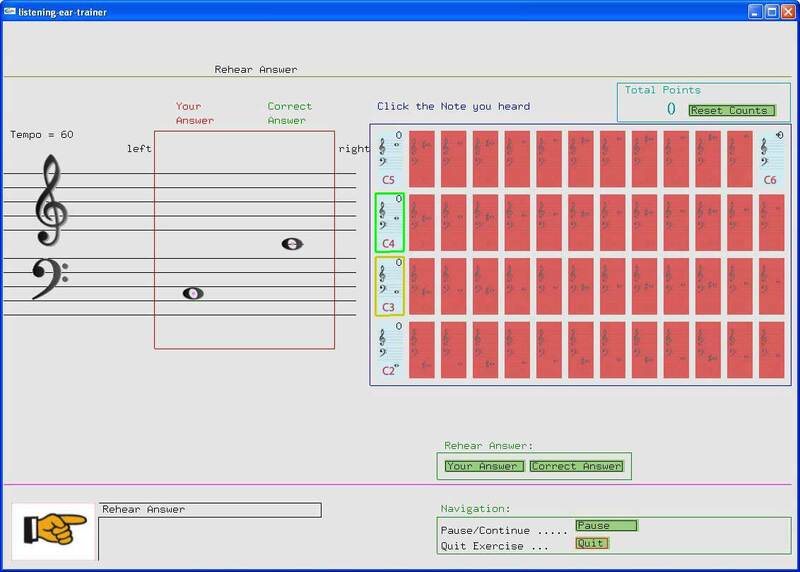 Our software makes use of the advanced technology to help music students perfect their listening skills. As we have used fully tested and proven methods of ear training, you will be able to achieve the expected level of precision within a short time. Here is an ear training software that produces amazing results within a short time available to you at a throw away price. You will not have to pay your music tutor several hundreds any longer. You will have your own personal ear trainer that will work with you any time of the day or night at just fraction of the cost. The best part is that you will own the software for life and no additional expenses or hidden charges. What are you waiting for? Go ahead and download your free trial to see how you can benefit from the ear training software and how our advanced ear training tools will enhance your listening skills and make you a better musician. To do ear training to the cent without singing we have made exercises in our product: Listening Music Teacher. For example the exercise “Ear training 12 cents” will present you with a sound, which is perfectly tuned, and a second sound, which is 12 cents higher or lower or is the same. Your task is to find out if the second sound is higher or lower or the same. For small deviations this task gets very challenging. Especially if a longer pause between the sounds is made, the task gets really ambitious. please visit our page: AP-Study. TrademarksMacintosh and OS X are trademarks of Apple Computer Inc. IBM PC is trademark of International Business Machines Inc.Windows XP/Vista/7 is trademark of Microsoft Inc. Listening Singing Teacher, Listening Music Teacher, The Listening Ear Trainer, The Red Pitch Dot, The Colored Pitch Line, The Counting Hints Line, The Half Step Change Hints Line, The Notation Hints Line, The Half-Step Brackets, The Precision Listening Method, The Singing Funnel Method, The Octave Anchor Pitches Method,The Interval Overtone Method, The Pitch Keeper Method, Absolute Pitch Point, Same Pitch Please, Pitch Ability Method, Pitch Grid Test and PitchBlitz are trademarks of AlgorithmsAndDataStructures, F. Rudin. All other company and product names are trademarks or registered trademarks of their respective owners.